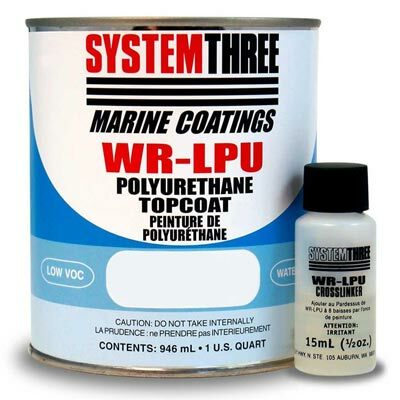 WR-LPU product kit contains a can of paint and a bottle of crosslinking material*. The paint by itself cures to a very high-quality coating, without the crosslinker. However, the addition of the crosslinking material produces a tougher and more durable film. It will be more chemical and fuel resistant, have better gloss retention and generally last longer than a film cured without the crosslinker. A two-part, waterborne linear polyurethane enamel. Formulated for ease of use. Provides appearance and performance equal to its solvent-borne counterparts. Available in clear gloss, clear satin and 12 popular colors. Cures to a high quality surface without crosslinker. Addition of optional crosslinking material produces a tougher more durable film. When cured WR-LPU is moisture, solvent and fuel resistant. 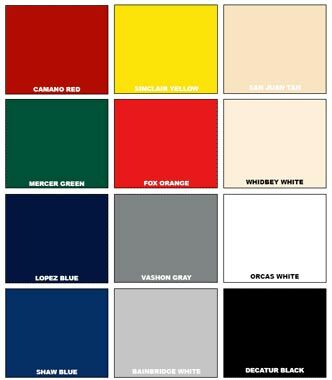 WR-LPU Color Card displays the colors as accurately as possible, however, slight variations may be noted between the chips and the finished product. * Please note that the 4 Oz. size is intended as a sample and does not include crosslinker. For health and safety information concerning this product, please refer to the Material Safety Data Sheet (MSDS) for this product. I pressed the Brother from the Black Lagoon into service and together we sanded the mast and yard nearly down to the primer. (I'd already laid on the first coat of topcoat.) The Topcoat after only one day is tough as nails. Topcoat can run if you put it on too thickly. It wants a thin coat, but it "dries" to the eye in only a few minutes, and can be overcoated by the time you reach "the other end" of your project. That's what I did. And rather than tipping it with a dry brush, I tipped with a dryish roller. It made a slightly wrinkly surface, but I'm not trying to get a glass-smooth surface, just thick and hard. (And it might have been wrinkly because I never bothered to sand the primer in the first place.) LOL. Chuck, you webmaster, you, thanks for including the Application Guide to the S3 pages. I found it a lot easier than wading through S3 itself. I didn't print it the first time I read it and wanted to refresh my memory this morning. Sure enough, I'd missed my window for painting on another coat and crosslinking to the first coat.